I still remember the feeling of utter panic when our computer crashed. I was worried about our family photos, how I would pay bills, and how I would watch Netflix! It seems like a silly thing to say now, but at the time I had just cancelled our cable, and we didn’t have any other way to stream tv. Oh, did I mention I had a baby and toddler! No Sesame Street, no music for dance parties, and no tv for background noise. And looking back on it, that was the most frustrating thing. My kids could watch the same Little Einstein dvds over and over so they were fine. Plus I have all seasons of Friends and The Sopranos on dvd, so I was far from bored. What I missed was the ability to turn the tv on for some background noise. I realize this is a total first-world problem but it threw off my housewife game not having a show to fold laundry to. Or something to play in the background while cleaning the house. Or a show to enjoy while the kids were napping. And podcasts and audiobooks weren’t as plentiful back then, and most of them require your full attention! So when my husband got a Playstation 3 for his birthday a few months later, I probably cried. Like Rachel’s-sister-when-she-told-her-she-could-use-her-45%-discount-at-Ralph-Lauren cried. It was a happy day! We had Elmo back, new tv shows to catch up on, and the glorious background binge. 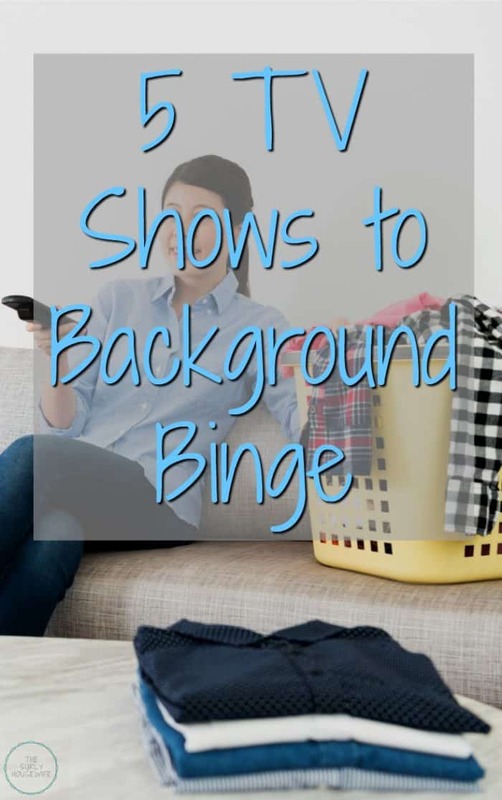 What is a background binge? A background binge is binge watching a show that doesn’t need your full attention. You can do other tasks while the show plays in the background. Look at it this way, for every Game of Thrones and Westworld, there are 10 shows that require half of your attention. You know those shows you watch while you fold laundry, tidy up, and cook dinner. Relive all the hilarious and awkward times with Jerry, George, Kramer, and Elaine on Hulu. (Seinfeld on Hulu was another super happy day!) Many of the episodes are structured with multiple story lines so if you leave the room you may miss one, but still catch the others. What I love most about rewatching this old favorite is all plot lines I didn’t know where in the same episode. The show really is a work of art! Bones is one of my favorite quirky and funny dramedies. The over-the-top storylines featuring forensic anthropologist Temperance Brennan and her team always pulls you in but every second of the episode doesn’t need to be watched. After you have watched a few episodes, you can usually predict who is the murderer. For a show about death, it’s lighthearted and gets in some laughs. You can stream Bones on Hulu. The Great British Baking Show is one of my favorite shows on Netflix. “A talented batch of amateur bakers face off in a 10-week competition, whipping up their best dishes in the hopes of being named the U.K.’s best.” Each episode is a solid hour so it gives you time to cook. 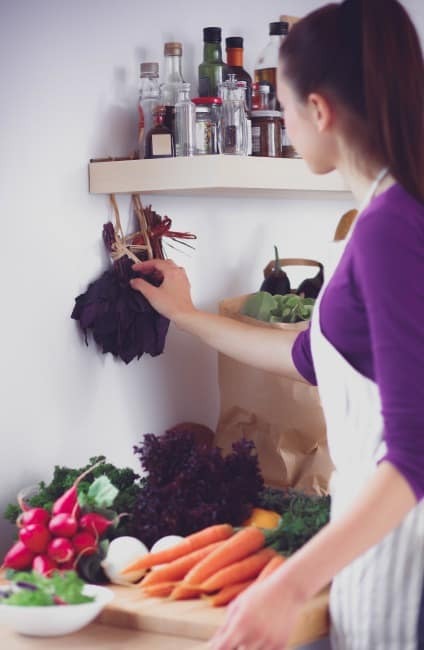 Plus you will be put into the cooking spirit and perhaps be inspired as well. You will actually look forward to washing the dishes as you listen to my favorite animated family on television: the Belcher family. I love this show so much and can watch it over and over again on Hulu. This remake of the old tv cop classic draws you in from the first episode. It’s bright, sunny, colorful, it has Scott Caan. Most of the story lines are over the top but aren’t overly complicated. Perfect for the half watch while you are browsing social media or pinning away on Pinterest. Head over to Netflix to watch one of my new favorite shows. Make sure you check out my post about wireless headphones which make background binge watching even easier!! 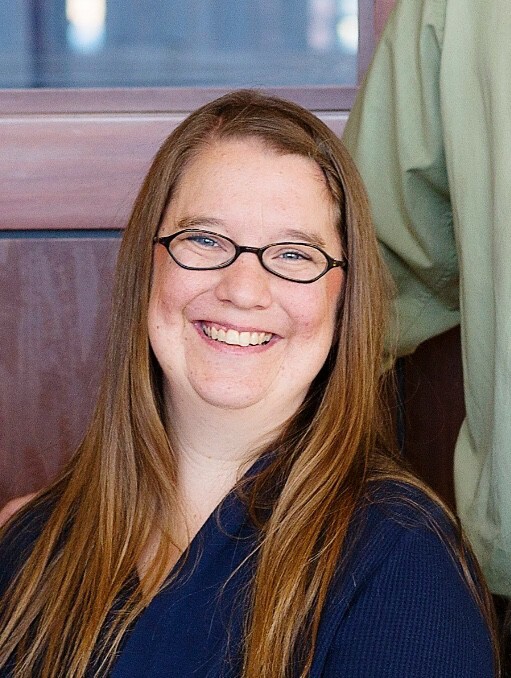 Looking back on it, I was dealing with a lot when our computer crashed: a baby and a toddler, a husband who started working days after two years of working nights, and just the overwhelm of being a new housewife. I had only been on the job a little over six months! When something throws off your routine during a difficult stage of life, it may send you into a panic. But, like most things in parenthood, one season ends and new one begins. 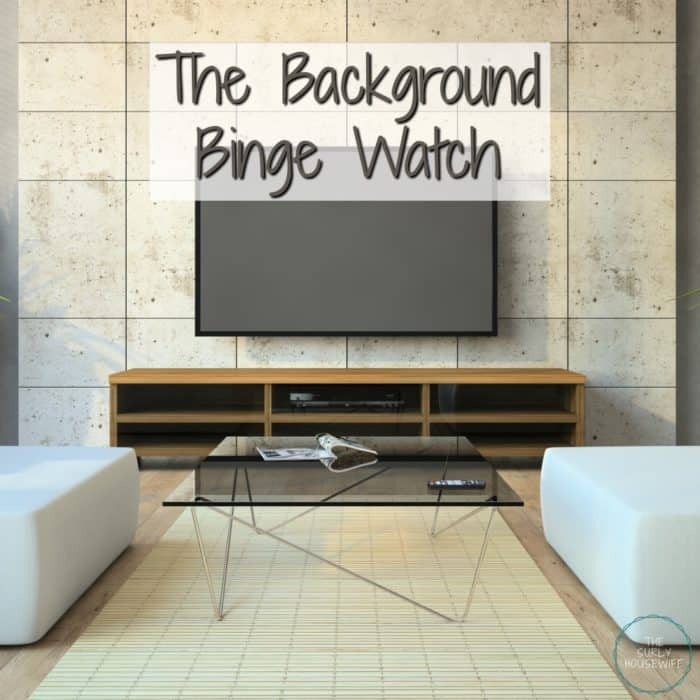 Do you ever background binge? What is your favorite show to half-watch? Enter your email for a list of 10 books to jump start your reading! !